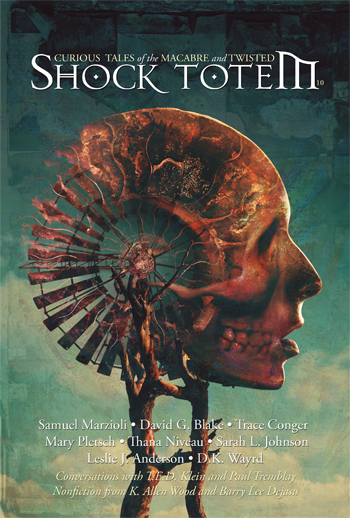 Ellen Datlow just released her full honorable mention list for Best Horror of the Year Volume 4, and while there are a daunting 608 stories on that list, we’re very happy to say that seven of them are from Shock Totem authors. Though none listed will actually appear on the list of 50 featured in the anthology itself, the recognition for our authors is hardly diminished. So a hearty congratulations goes out to Lee Thompson, Amanda C. Davis, John Haggerty, Steven Pirie, Aaron Polson, Jeremy Kelly, and Mekenzie Larsen. Well deserved, fellas! You can read their stories in Shock Totem #3 and #4. And before I end this, I would be remiss if I didn’t send a very big thank-you to Ellen for her time and consideration. Our appreciation is beyond words. T.R.O. 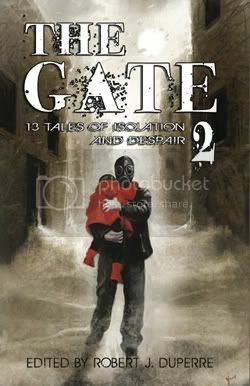 Publishing recently released the second installment of The Gate series, The Gate 2: 13 Tales of Isolation and Despair, an anthology featuring work from two of Shock Totem’s own—Mercedes M. Yardley (“Black Mary”) and me, K. Allen Wood (“The Candle Eaters”). You can get the print version for $8.59 or, if you’re a Kindle owner, download it for free. It’ll be available at no cost today and throughout tomorrow. In addition, you’ll find work by Daniel Pyle, Steven Pirie, David Dalglish, Robert J. Duperre, and seven others. So if you’re looking for some great fiction at no cost, check out The Gate 2. Issue #3 contributor Steven “Seven” Pirie is offering up for free download a short collection of four humorous tales, which you can download here at Smashwords. It’s called Mrs. Mathews is Afraid of Cricket Bats. Download it, dig it, and then consider checking out his novels Digging Up Donald and Burying Brian. And issue #3 of Shock Totem, of course. Earlier this year, we began hosting flash fiction contests. It started out monthly then moved to bi-monthly. It was a lot of fun and we got to read some great tales. First Place winners received a prize of their choosing, usually a book or fiction magazine. Of those winners, an ultimate winner was then chosen to be included in our upcoming issue #3. Because we had read a lot of the winning stories and didn’t want any kind of bias to play a role in our decision, we asked fellow writer and friend—and musician (check out Broken Hope and Lupara)—Jeremy Wagner to judge the stories and pick his favorite. He never participated in any of the monthly/bi-monthly contests and read all stories anonymously. He chose Steven Pirie’s “Ruth Across the Sea” as his top choice. You’ll be able to read the story in a little over a month! Jeremy also chose two runners-up in Amanda C. Davis’s “In Memoriam” and “Like Origami in Water,” by Damien Walters Grintalis. They will receive Amazon gift certificates kindly donated by Jeremy. Congrats, guys! And Happy Thanksgiving to all.